In 2017 David Bragger and Susan Platz released the first oldtime album featuring dual fiddle on all tracks: King’s Lament. 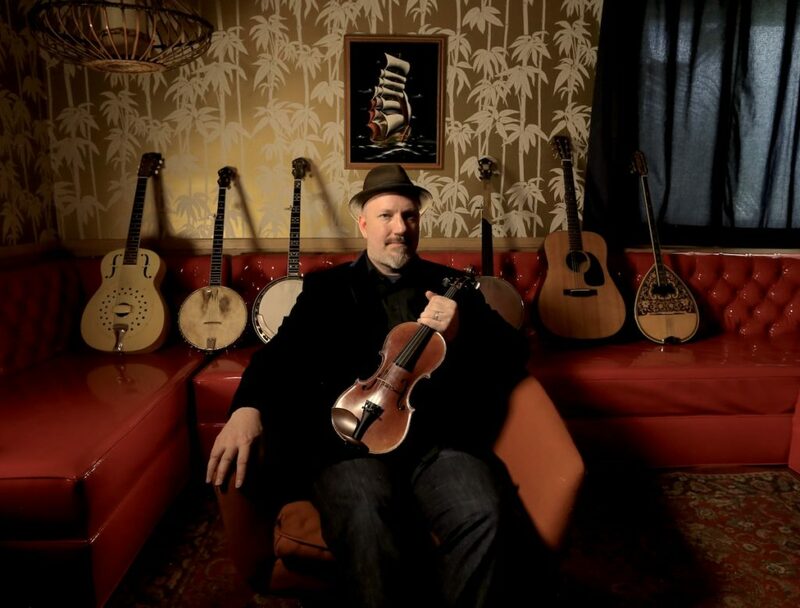 Bragger is well known as a methodical teacher and highly rhythmic fiddle player, not to mention the amazing work he does recording oldtime musicians through The Old-Time Tiki Parlour. Susan Platz is an equally stunning oldtime fiddler, who has been playing with David for several years now. In March, the two stopped through Berlin to teach a dual fiddle workshop, lead an epic square dance, and sit down to play a few tunes for the camera. They also graciously agreed to answer a few questions about their album and dual fiddling in general. 1. What’s the story behind this album? Where did the idea come from? David: In recent years, Susan and I began experimenting with double fiddle arrangements for old-time tunes. The process started one day with Mel Durham’s Soppin’ the Gravy. His tune Going to the Free State was next for us, which we eventually recorded on my solo CD Big Fancy. It’s no surprise that we got started with Mel Durham tunes. Mel (b. 1914) was one of my major fiddle mentors, thus a huge influence. So Susan and I would alternate chording, droning and adding small bursts of harmony while the other played the tune. 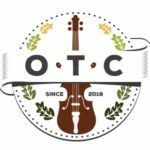 One thing led to another and we decided to record the first old-time double fiddle album about three years later. Earlier on, a small seed was planted when I intensely studied fiddle with my main guru Tom Sauber. I occasionally would hear him harmonize like I imagine he often did with Earl Collins. During this time, I was turned on to the recordings of master old-time Cajun fiddler Dennis McGee and his duets with Sady Courville. I also loved the strange fiddle harmonies that I would hear in many of the Skillet Lickers recordings. A few years later I heard the groundbreaking duet playing of Dan Gellert & Brad Leftwich. Something began to brew in my musical head. When I started recording musicians at the Old-Time Tiki Parlour, Rafe & Clelia Stefanini transfixed us with their double fiddling. Soon after we met Tricia Spencer & Howard Rains and fell in love with their fiddling as well. By this point, Susan and I really had the bug. 2. Because there isn’t a great deal of recorded material with dual fiddle, you’ve had to be pretty creative in how you arranged these tunes? Could you talk about that process of finding sounds you liked and thought still fit in the old-time framework? David: Here’s my personal take on “creativity” in old-time music which might help the reader understand where I come from musically. As a fiddler who is obsessed with old sounds and passing down traditional repertoire and stylings, I never feel compelled to be “creative.” I leave that for avant-garde conservatory musicians and certain types of players who design their playing to entertain audiences. I’m more focused on how personal style develops slowly from years of intense obsession with the old sounds. Traditional musicians tend to consciously and unconsciously gravitate towards certain rhythms and sounds that they’ve learned from a mentor, region and/or family member. Those decisions and interpretations help to form their personal style without them having to invent it in a vacuum. This is how I like to see personal style develop. I find it more interesting than a conscious desire to be creative and/or different. I’m fascinated when personal style and “creativity” are part of a continuum that spans generations. To me, Kirk Sutphin, Clyde Davenport and Bruce Greene are perfect examples of that process, to name only a few. In some rare cases, I’m intrigued when an individual plays or records something so unique and unpredictable, that it might even be called “innovative.” For the record, I’m not personally moved by deliberately “innovative” and progressive approaches to traditional music, unless it’s for comic effect. Eck Robertson, Edden Hammons, Bruce Molsky and Dan Gellert are a few classic examples of musicians who are firmly rooted in traditional playing, yet some wild musical mutations have risen out of their instruments. They are fiddle gods without the pretense. Their brilliance is firmly grounded. This I certainly love. In the case of our album, many listeners may encounter a very new sound in their ears, but it’s probably because they aren’t used to hearing two fiddles that aren’t playing the same part. For us, the seconding fiddle is mainly functioning as a drone machine and a guitar, with bursts of harmony and sparkle along the way. The drone choices and chords come entirely from years of listening and playing traditional old-time music: guitar chords, vocal harmonies and fiddle/banjo drones. The rhythms come directly from the bowing that we use in solo old-time fiddle. Since Susan and I play fiddle with the same rhythmic, downbeat-based mentality of many old musicians, our duets lock in very well. We chose tunes that we love to play together. We also took into account some tunes that have interesting or beloved chord progressions, as well as tunes in alternate tunings. So by drawing on old tunes with old bowing/rhythmic techniques we allowed the album to basically make itself. However, I don’t want to downplay Susan’s gift for harmony. She’s a singer and a fiddler so she finds these brilliant fiddle harmonies quite naturally. We also love to play off of each other for hours at a time. That never hurts. 3. Where can you point people to find other examples of dual fiddling in old-time? David and Susan: There’s not a ton on record. Eck Robertson & Henry Gilliland, Dennis McGee & Sady Courville, Dan Gellert & Brad Leftwich, Rafe & Clelia Stefanini, Spencer & Rains, Solomon & Hughes, Bob Walters, John Summers & Judge Dan White, Linzay Young & Joel Savoy and Jehile Kirkhuff. Although neither of us play it, we are intrigued by the sounds of Scandinavian double and triple fiddle! 4. What kind of different reactions have you gotten to the record or to dual fiddling in old-time generally so far? David: To my surprise, King’s Lament is one of the Tiki Parlour label’s best-selling CDs. When Bruce Molsky gave it his blessing and composed an amazing quote for it, I knew we were probably on to something! It has definitely attracted many curious musicians who wanted to hear what we came up with. 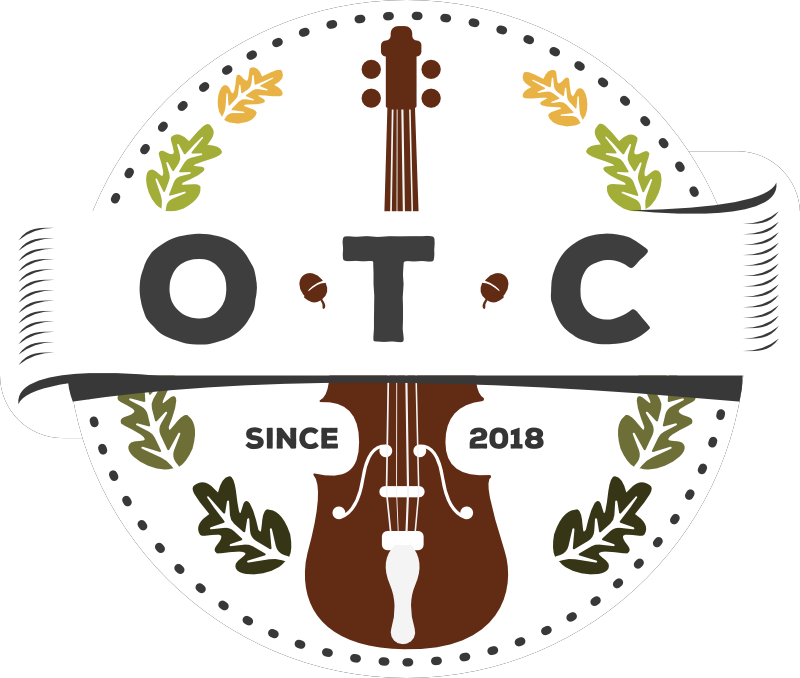 Most of the feedback has been from people who have been dying to hear older sounding double fiddle that isn’t Bluegrass or Texas twin fiddling. We’ve certainly maintained an archaic fiddle sound, mainly because that’s all I know how to do. Surprisingly, a ton of classical musicians have been interested in the CD. In fact, their interest has led us into a collaboration with the brilliant fiddle transcriber Jeffrey Hollingsworth. We’ll hopefully be releasing a book of transcriptions of the entire album in the coming months. Although I never have and never will use sheet music in my daily fiddle lessons, I see a book of transcriptions as being vitally important for attracting curious classical musicians to old-time music. The book will allow violinists to play duets with a musical partner AND introduce them to traditional bowing. I see it as a gateway drug with no ill side effects, as long as they wean themselves off the page eventually! 5. You decided to have dedicated roles on the album – David playing the melody and Susan doing the seconding. Why did you prefer to do it that way and not switch up? Susan: We had originally intended to switch it up. David is an amazing harmonizer and does really creative things with seconding. But we wanted the album to have consistency, and our seconding styles are just different enough that we thought it might be jarring for the listener to switch back and forth. David: What she said! I might also add that I love feeling like a passenger while playing the tunes I know so well. Hearing Susan’s beautiful harmonies and rhythmic drones while I’m holding down the tune is a front row seat like no other. By sticking to our roles, we can each play organically within our space. In a way, it allows us to be free to vary without accidentally stepping on each others feet. More freedom and less chaos. You can also hear two distinct voices. 6. Susan, you do all the seconding on this record. Is there a basic set of approaches or techniques you used to find the seconding parts? Or was each tune new territory? Susan: For each tune, I learned the melody and played it for several days to let it “sink in” so that I became really familiar with the structure, the mood, and of course the chords. Then David and I would get together and he would patiently play the tune a few times so I could try out some harmony ideas. I would start by basically channeling the guitar. I’d get the basic chords down, and then try some drone-based seconding with David using one or two different bow rhythms (long bows or shuffles, for example); then I’d add a few notey passages here and there to complement the melody. I felt it was important not to “overdo” the seconding with too many complicated note-for-note harmonies, but rather to sprinkle them in sparingly while maintaining a simple backup presence for most of the tune. This lent itself to a more balanced sound between the fiddles. David: Susan is quite capable of churning out some wickedly intricate harmonies. I also love hearing the second fiddle walk around like a bass during key moments of a tune. During the development of a double fiddle arrangement, the tune itself often sets the basic tone or mood when the seconding process begins. However, as things start coming together, the feel of the piece can often change dramatically when it’s a fully realized arrangement. Sallie Cooper, Coal Holler and Devil in Georgia are great examples of the transformative nature of double fiddling. 7. If players are interested in developing their seconding chops, how would you recommend they get started? Susan: Start by picking a simple, familiar tune and identifying the chords. (Get a guitar player friend to help if need be!) Personally, I think cross tunes are a good place to start because the tuning facilitates easier droning (AEAE or GDGD). Ideally you’ll have a fiddle buddy to play the melody for you, but if that’s not possible (or if you want to try out your seconding in private first), I would recommend recording yourself playing the melody. Then try some harmonizing by playing along with the recording. There are several ways of voicing the I, IV, and V chords on your fiddle, but just start simple on the low strings. Use long bows to rock between your open G string and D string for your I chord; place the first finger down on the G string and continue rocking to the D string for your V chord. Grab the IV chord by placing third finger on G string and first finger on the D string (C note and E note if you were in standard tuning). Once you’re comfortable chording in this way, you can try different bowing rhythms to accompany the melody. For example… shuffling, long strokes, or short bows in an 8th note rhythm. It’s really fun once you get the hang of it! David: Don’t forget to listen to massive amounts of early old-time music recordings. Listen to early back-up guitar players and listen to banjo/fiddle duets. Asa Martin & Doc Roberts, Riley Puckett & Clayton McMichen, Tommy & Fred, etc. Absorb the drones, bass notes and the downbeat anchorthat holds everything together in recordings of early musicians. 8. The recording sounds great! For the recording geeks out there, what did the signal path look like for the album? David: That’s a secret Tiki Parlour recipe! I’ve recorded in some legendary sound studios over the years, where I’ve picked up a few tips about equipment and mic placement. I’ve learned that every engineer has wildly different opinions. I’ve also learned that when recording live traditional music, most of their advice wasn’t applicable. There are two important factors for my recordings: The musicians and the room. We practiced a lot for starters. I used two Neumann small diaphragm microphones and a tube pre-amp for some warmth. I let the room do most of the work! Next articleIs oldtime out of tune?